When we bought our home two years ago, I knew I wasn’t going to be able to re-do everything right away. Of course, the kitchen and bathrooms will eventually get a complete makeover, but for now they work for our family and are aesthetically pleasing. 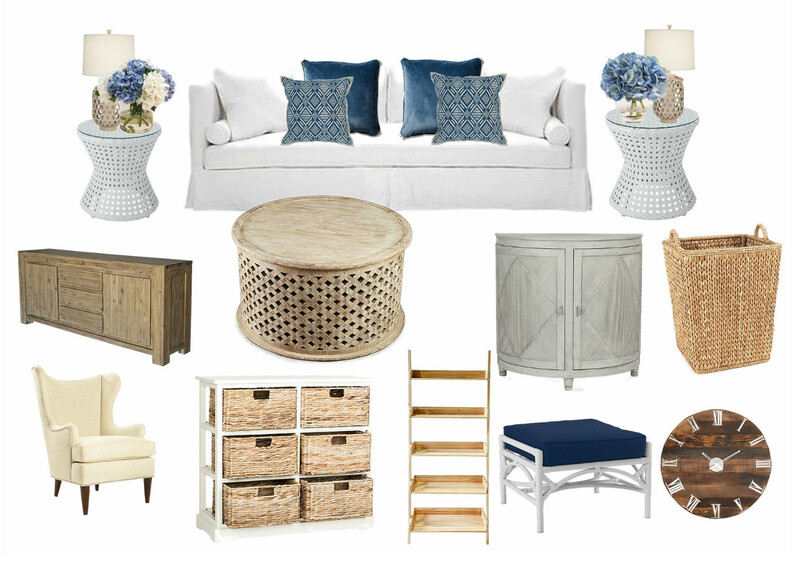 Meanwhile, I can’t stand my basement anymore, and I LOVE the challenge of completely transforming a space on a budget. I usually start with some inspiration. This the the front of one of HGTV’s paint pamphlets. I love the colors. Here is the final picks for paint color and flooring. 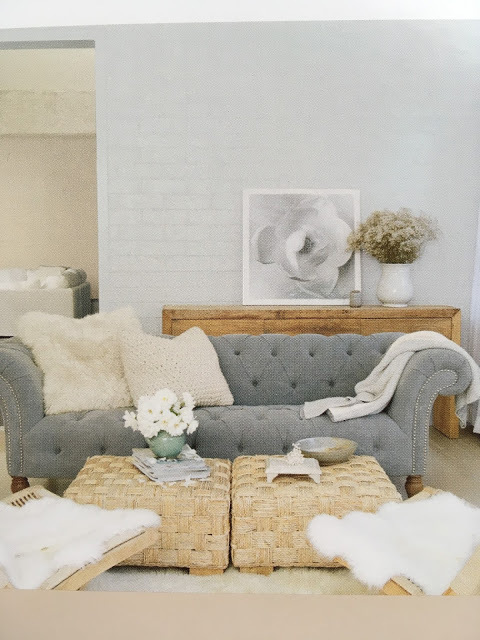 I knew that I wanted mostly white and then the Olympus white brings in a little blue/gray that I think will add softness and tranquility to the whole room. I am planning to paint only one wall the Olympus gray as an accent. 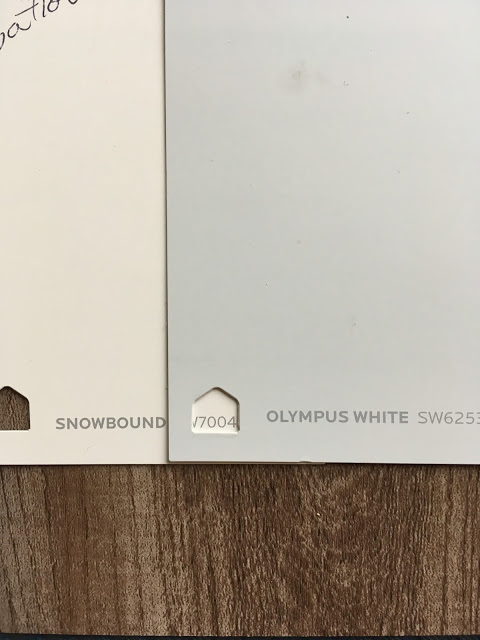 Snowbound and Olympus White with a rustic laminate wood flooring. I am going for a modern farmhouse look. Here are a few pictures that will inspire the space. 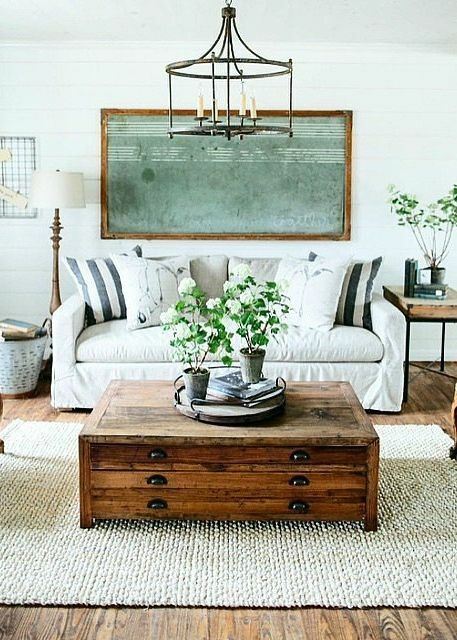 This is an Instagram photo from Joanna Gaines’. I found it through Pinterest. This is not my image, just inspiration. Cody has already agreed to make me some built-in looking shelves for storage and a coffee table like the one pictured above. I’m grateful to have a husband that knows how to work with wood and metal. It sure does help me make my design goals easier to achieve. Thanks Connie! Progress is slow, but I am excited. I hope you are doing well.